Mr. Ibarra started working for DACE in 1992 as a Teacher Assistant. Seven years later he transferred to Classified as an SIS Coordinator. Little did he know, at the time, that his tenure as a Classified employee would be as tenuous as DACE teachers in 2012 due to his low seniority status. Mr. Ibarra worked at Manual Arts CAS for a few years. With little seniority, he was bumped and laid off. After several months, Mr. Ibarra was rehired at South Gate CAS only to be let go again. He then was temporarily hired at Slawson Southeast OC, laid off, and rehired. Through these uncertain times, Mr. Ibarra never gave up on working for DACE. His persistence coupled the support he received from DACE kept him in the division for over 20 years. Mr. Ibarra believes in DACE; he knows that we offer hope and a second chance. After all, he learned it first-hand by graduating with his high school diploma from Garfield CAS. Mr. Ibarra’s passion for his career is contagious even to the point of telling others. He is eager to share the positive outcomes derived from LAUSD's Division of Adult and Career Education. It’s no wonder his son is now a Teacher Assistant with one of our high school recovery programs. Mr. Ibarra's dedication to adult education goes beyond the workplace. 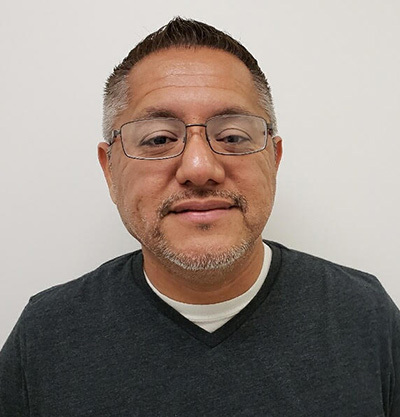 He has participated in CCAE events at the section level and has volunteered his services to support CCAE at the state level by being active in informing local and state officials about the positive impact that adult education in the communities we serve. Ramon Ibarra’s experience as an SIS Coordinator is exemplary. He has the ability to generate registration forms quickly and timely to ensure that students are registered for classes at all four sites. Additionally, when reports are needed to ensure students have completed a course, Mr. Ibarra comes to the rescue and gets the job done!Mr. Ibarra takes pride in his job. No matter what school he works for, he will make sure his reports are as accurate as possible to the point that he will meet with teachers, advisors and/or administrators to make his school reflects in the best possible light.